Justice League has just premiered in Hollywood and it will hit cinemas across the world on Friday. Therefore, the fans of the superheroes, but also the fans of the three-pointed star premium car brand can already get their tickets to watch their favorites. People gathered to be close to the star-studded red carpet in Los Angeles, California. Ben Affleck, who plays the part of Batman, Jason Momoa as Aquaman and exotic beauty Gal Gadot as Wonder Woman were there with the Mercedes supercar. 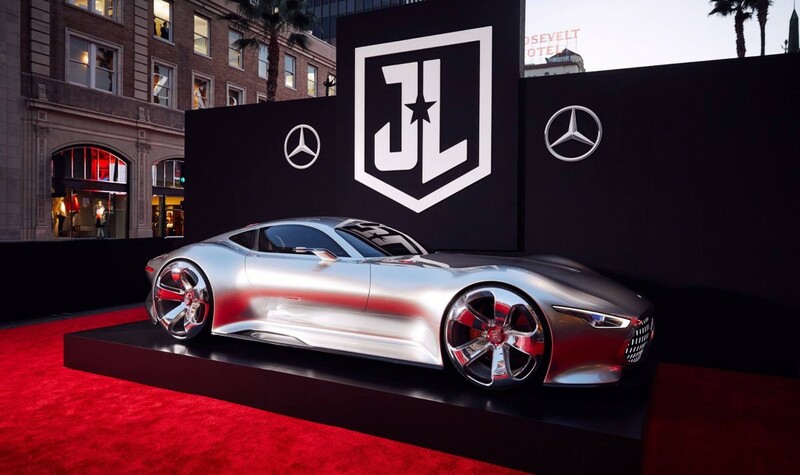 The Mercedes-AMG Vision Gran Turismo was the star on the red carpet, at the premiere of Justice League is the car that Batman drives on the silver screen, as part of an agreement signed by the Stuttgart grand brand with the Warner Bross Studios, every time he is out without the Batmobile. Not only Bruce Wayne gets a Mercedes in Justice League. Wonder Woman, Aquaman, Cyborg and The Flash will be having star-branded vehicles in their run to save the world from an alien invasion. Spoiler alert! Diana Price will be seen behind the wheel of an E-Class Cabriolet. The G-Class will also show up in the movie, but for the moment, the driver is unknown. Justice League hits the cinemas around the world tomorrow.